As one of the liveliest and most special cities on Earth, New Orleans is well known for its distinctive culture, cuisine, music, and festivals. It's a city that knows how to have a good time, attracting millions of visitors from all four corners of the globe each and every year. One of America's most important locations for music and the performing arts, New Orleans is filled with clubs, bars, and hotspots showing all kinds of entertainment every single night, including plenty of great comedy venues. Just like New York City, New Orleans never sleeps. There’s always something happening around the city at any time of day, with comedy clubs and shows ruling the New Orleans nights. 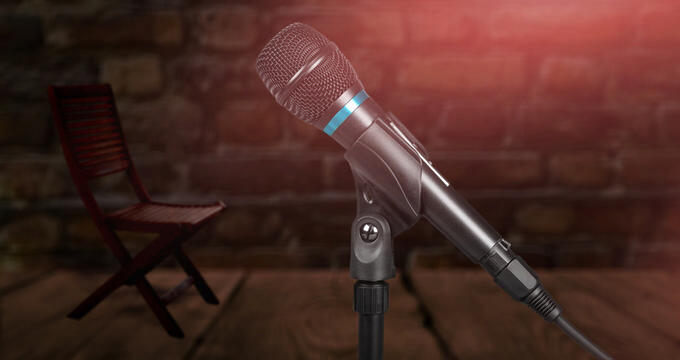 With multiple highly-rated comedy shows and experiences to enjoy, there’s a lot of choice for comedy enthusiasts in the heart of Louisiana, and here are some of the top rated comedy locations for you to check out on your next trip to New Orleans. Established back in 1980, Carollton Station Bar is beloved by locals and regarded by experienced tourists as one of the best places to grab a drink and enjoy some live entertainment in New Orleans. Sports games, trivia nights, live music, and, of course, comedy shows are held at this lively location every single week. The "Think You're Funny?" open mic stand-up comedy nights are held here on a weekly basis, challenging everyone to test their wit against the Carrollton's crowds. Great food and drink can also be enjoyed at low prices and the party atmosphere never ends at this brilliant bar. The New Movement got started in Texas but has made its way over to Louisiana too. Offering improv classes and training programs for aspiring comedians of all ages, this cozy theater space specializes in long and short-form improv comedy shows, but sketch and stand-up shows can also be enjoyed here too. The burgeoning comedy scene in New Orleans has really been boosted by the presence of The New Movement and improv enthusiasts have fallen in love with his location over the years. Regarded as one of the best places to catch some comedy in New Orleans, The New Movement is a must-visit location on Friday and Saturday evenings. No night at New Orleans can be complete without a little live music and burlesque action, and you can enjoy all of the city's distinctive culture and live entertainment, combined with side-splitting comedy shows, at The AllWays Lounge. This alternative theater serves a wide array of drinks and runs plays, live music concerts, cabaret, burlesque shows, and comedy nights, often combining all of these different entertainment forms into one incredible evening of unmissable fun and frolics. Saturday nights at AllWays are especially popular with comedy fans as UK comic Paul Oswell hosts the 'Local Uproar' events to showcase the best up-and-coming comedy talents in town. Touring talents also tend to love this location for its unique atmosphere and decor, so it's a great place to witness all kinds of comedy at any time of year. Adored by locals and tourists alike, One Eyed Jacks is the perfect place for all kinds of evening entertainment in New Orleans. Live music concerts, burlesque shows, dance nights, open mic evenings, and all kinds of comedy shows can be enjoyed at this awesome location. One Eyed Jacks is the sort of place that could only exist in New Orleans, with a vibrant, jazz-fused atmosphere percolating through every element of the decor and every member of the friendly staff. Whatever kind of comedy or other entertainment you need, you'll find it and so much more at One Eyed Jacks.